It’s that wonderful time of year again for IT admins, developers and Apple enthusiasts everywhere! 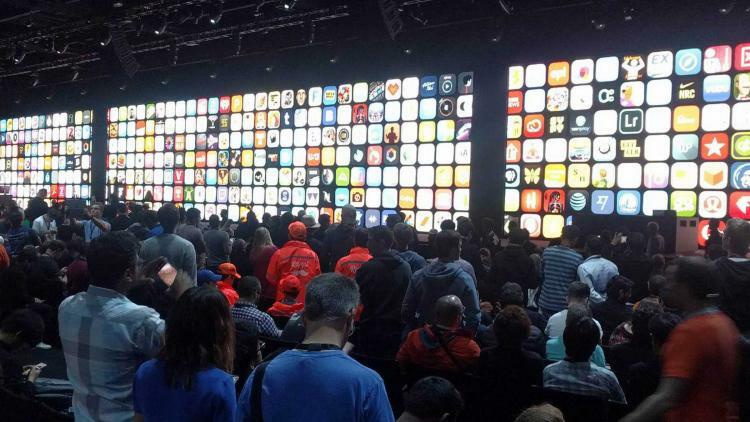 Apple’s Worldwide Developers Conference (WWDC) kicked off yesterday and the world is learning all about the new operating systems and their impacts on organizations managing Apple devices. While we are still anxiously awaiting news on mobile device management (MDM) changes that Apple is set to unveil later this week, we can start looking at what’s been announced to this point and explain how new features will be important for education and enterprise environments. Keep an eye out for a blog on the MDM unveilings from Apple later this week. Apple is famous for focusing on customers, and with iOS 12’s announcement, they are putting the user first once again by focusing on performance — especially for older devices. Apps will load faster, common tasks will feel snappier, and the upcoming software will support all existing hardware devices that can run iOS 11. This allows organizations to get more life out of their initial hardware investment. New features in iOS 12 include Augmented Reality apps and experiences, better Photo searching, Siri shortcuts to help automate tasks within apps, reports and controls around how often we use our devices, and updates to iMessage and FaceTime. When iOS 12 launches in the fall, IT admins running Jamf will be able to push this software update to the same devices that are running iOS 11. Of course, for those looking to not deploy iOS 12 immediately when it launches, they can take advantage of the Managed Software Updates feature that was introduced this spring; supported in Jamf Pro 10.3 or higher. Admins can also prevent the installation of profiles, which will block end users from installing the iOS 12 beta on their devices. As with all beta software, back up often and only install it on devices you are comfortable testing. Mac will be getting a major update this fall as well with macOS Mojave. Major new features for end users include dark mode, dynamic desktop, enhanced screenshot control, privacy controls for Safari, and new apps — News, Stocks, Voice Memos and Home. Combined, these make for a compelling upgrade for end users. From an IT perspective, Apple Files System (APFS) will be gaining support for hard disk drives and fusion drives. We will likely find out more about upgrade paths later this week and throughout the beta process. Apple also gave developers a sneak peek into a multi-year project to help bring iOS apps to Mac. Apple is beginning by transitioning the News, Home, Stocks and Voice Memos to macOS Mojave and will be rolling out more tools to developers in 2019. This puts an end to speculation that macOS and iOS were merging. Rather, both operating systems will continue to do what they are great at, and Apple will provide tools to rebuild iOS apps that are designed to take advantage of macOS core technologies. Again, Jamf IT admins will be able to push this update out in the fall when Apple releases it. Admins can also take advantage of the Managed Software Update commands to defer the update. Additionally, for those organizations looking to prevent users from installing the beta, they can use Jamf Pro to specifically block the “Install macOS 10.14 Beta.app” application. We look forward to testing the new Apple betas with Jamf Pro, and will be working hard to once again provide day-zero support for these new operating systems when they ship in the fall. Join the Apple beta program and stay tuned to the Jamf Pro beta program to learn more about Jamf’s ongoing support. Have a wonderful WWDC week!